To Plus-One or Not to Plus-One? You're engaged! After all of the congratulations and excitement simmers down, next come the questions... "Have you picked a wedding date yet? Do you have a venue? Who are you inviting?" The list goes on! It starts to get real fast and you come realize that you need to make some important decisions to get the ball rolling. After establishing an estimated budget, you'll need to book your venues, which requires a head count. You don't want to fall in love with the perfect venue only to realize that you can't invite half of your family and friends, because they only hold a capacity of 80 people. 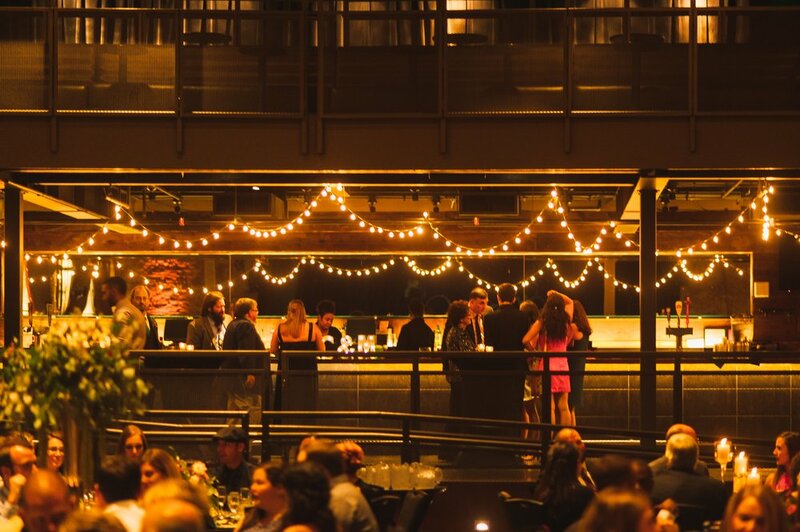 Nailing down that guest list will help you to make smart and informed decisions regarding your venues. Also, tied into this is your overall budget, remember that for every person invited, they require a meal, place setting, drinks, seat etc. and it all adds up. You want to keep this in mind when developing your guest list and consider how that can impact your overall wedding vision and budget. One area that gets a little confusing when creating a guest list is determining who gets a plus-one. Check out our tips below on how to make those tricky decisions! Married couples: If you are inviting one half of a married couple, it is polite to invite their spouse. Even if you are closer with one over the other or may have never met their husband/wife, it is common courtesy to invite both of them. Couples who are engaged, live together or have been dating over a year: Guests who are engaged, have been living together or dating at least over a year should be extended a plus-one. It is important to acknowledge the commitment of these couples. If you have hesitations you can always err on the side of caution and include a plus-one. Bridal party members: All members of your bridal party should be given a plus-one, unless they have specially told you otherwise. This includes married/engaged couple, those dating and single members of your bridal party. This polite gesture is a nice way to say thank you for all of their hard work. Special guests who may not know anyone: If you have a wedding guest that is not included in any other invited family, friend, work or school groups, they should receive a plus-one. They will have more fun if they are able to chat and enjoy your wedding with someone they know. Forced networking at weddings is no ones idea of a fun night. Now that you have a good idea of who should get a plus-one, now it's time to discuss the delicate situations of who should not get a plus-one. Guests who are casually dating: For those guests who are not in serious relationships, adding a plus-one is more of a luxury than a necessity. If you end up having the room in your budget and guest list to do so, you can always add on a plus-one, but it is not required. Coworkers: All for one or none for all, should be your motto on this one. Either all of your coworkers should get a plus-one or none should, this excludes married/engaged couples. Determining which coworkers to invite is tricky enough, so tread lightly on this one. Also, don't feel required to invite your boss and a plus-one unless you have a friendly relationship. Single guests who will know other guests: If a single guest is a part of a family or friend group and will have others to easily interact with throughout the wedding then they do not need to be automatically given a plus-one. However this can be handled in a case-by-case situation. For example, if all of your college friends are married off except one person, it would be polite to extend a plus-one to that person. Now that all of your plus-ones have been allotted, there are some instances where your guest will not end up having a plus-one after they have been extended that courtesy. This could be because they don't need one or perhaps their significant other is unavailable, but they still want to attend. Regardless, typically about 10-20% of your overall guest list will decline, which may give you some wiggle room to add on some late plus-ones for certain guests. Once a plus-one has been confirmed, make an effort to inquire the person's name, if unknown, to include on place cards and coordinate with a meal choice. It also helps your guest and their plus-one feel appreciated at your wedding. What are your plus-one and other guest list questions?